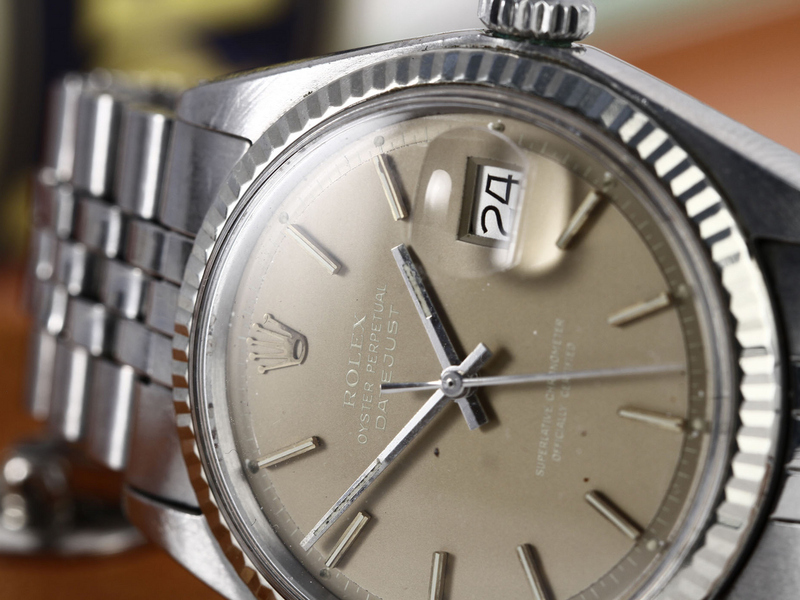 This Rolex Datejust contains an original 1570 caliber has serial number: 2598XXX. 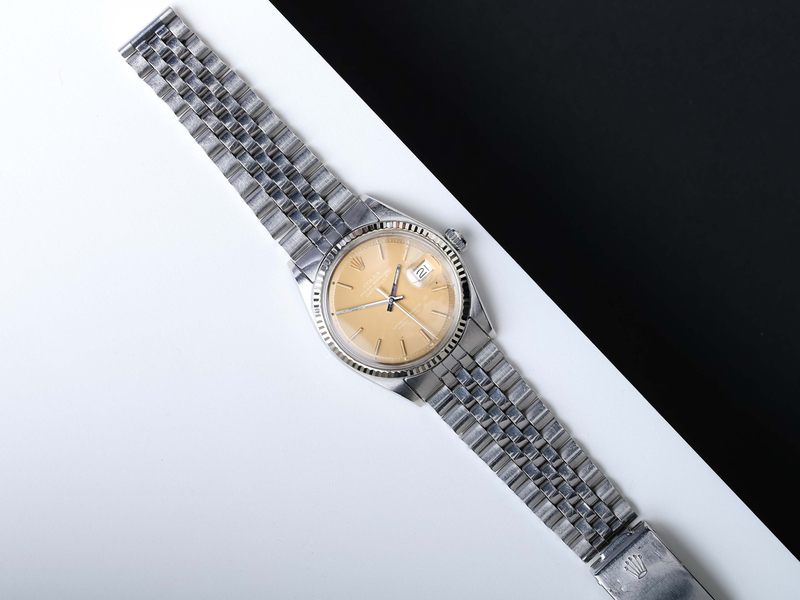 It comes with an original 6251H jubilee bracelet. 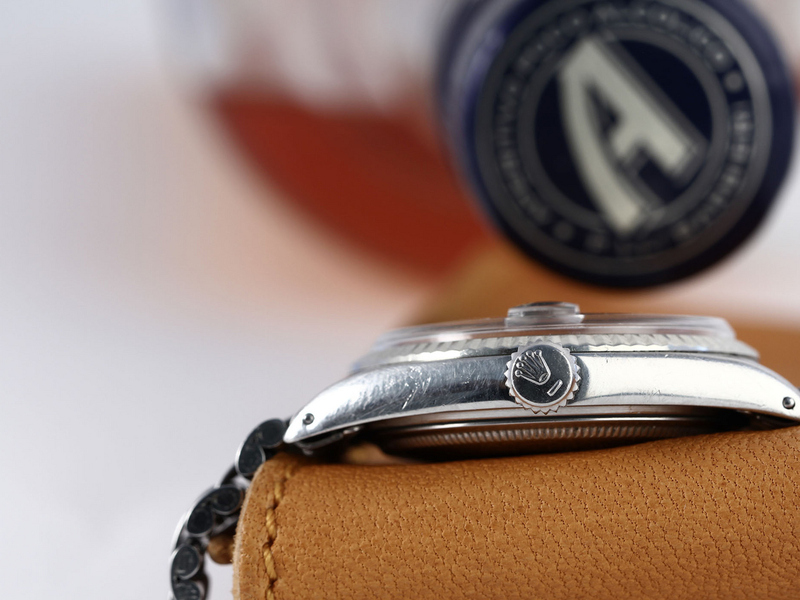 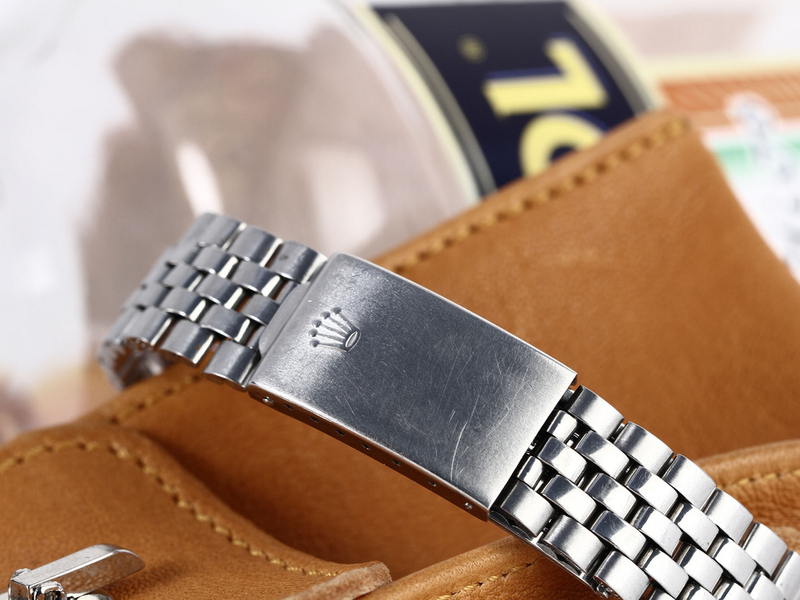 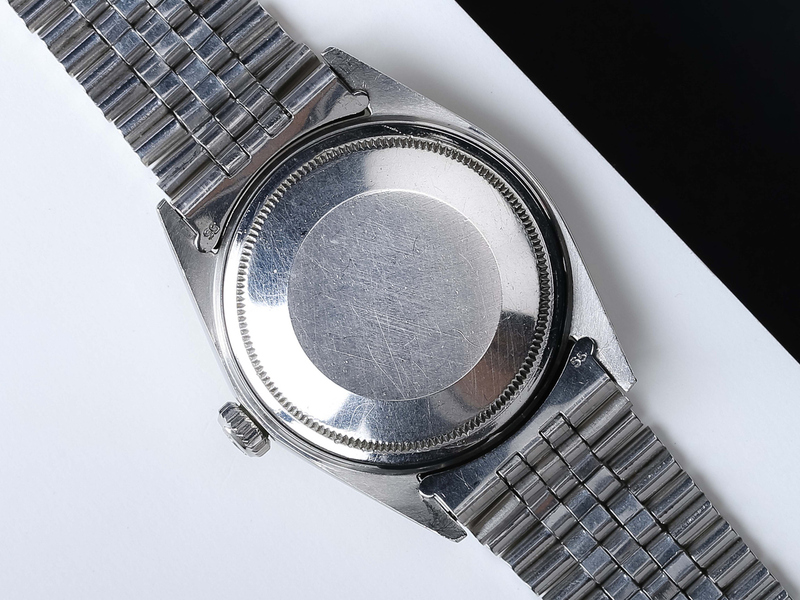 The inside case back is stamped III.70 The Rolex Datejust is, just like the Date and the Air-King, the perfect example of Rolex's combination of never-ending simplicity and pure style. 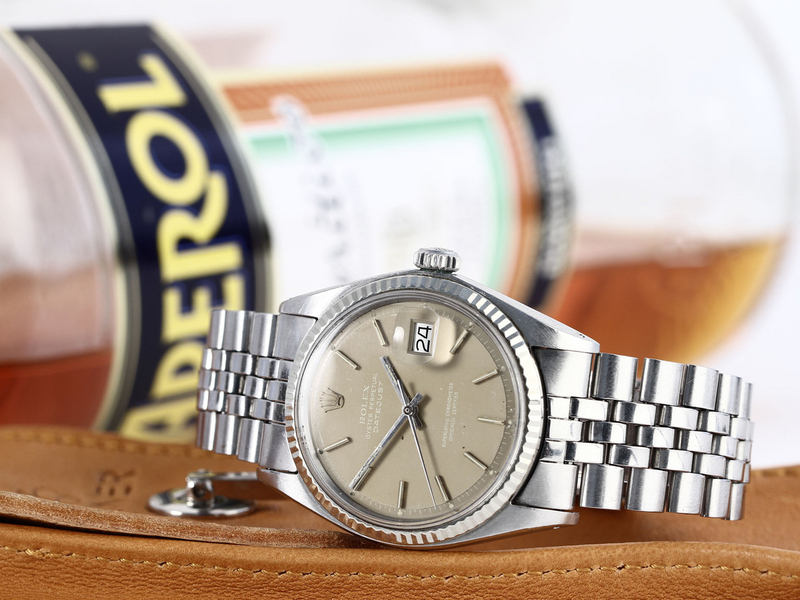 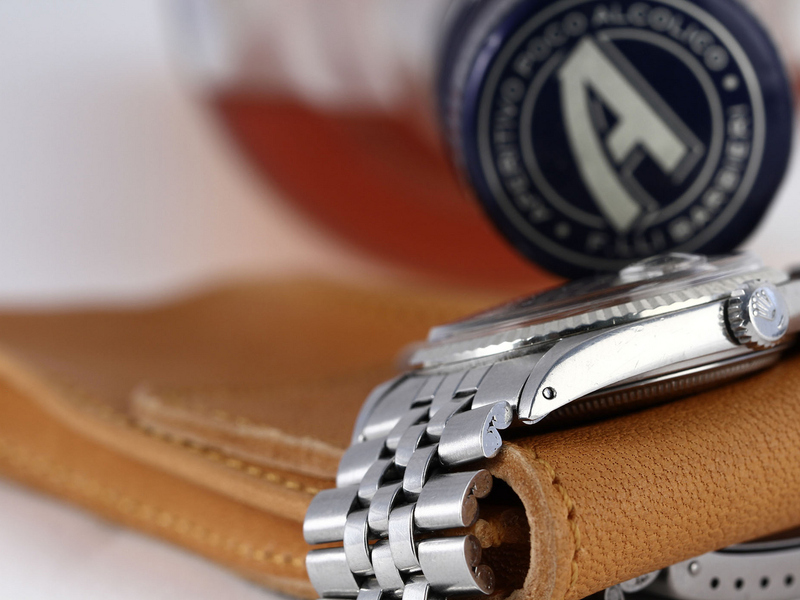 In certain cases, the Datejust is almost the same as the Rolex Date, except contains the Datejust a 36 mm case, while the Date has a 34 mm case. 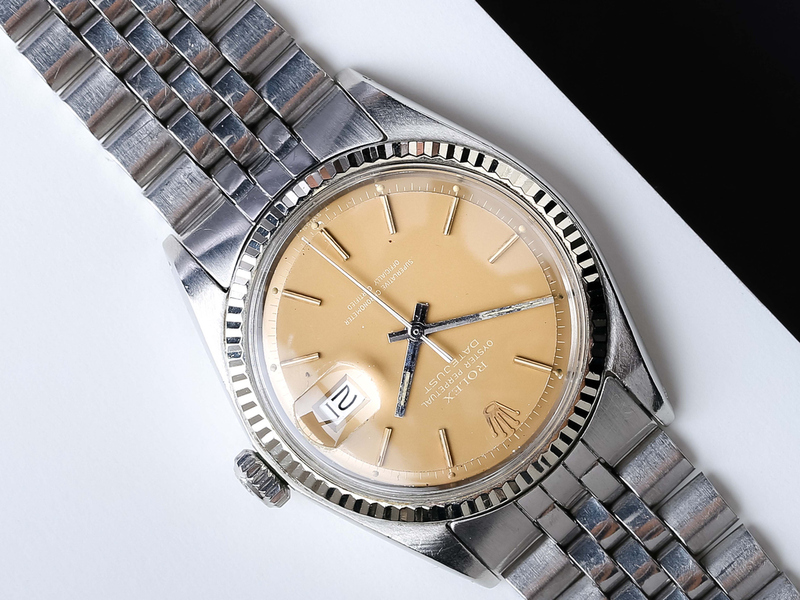 Also does the Datejust often appears in more luxury forms than the Date, containing diamonds, more gold, etc. 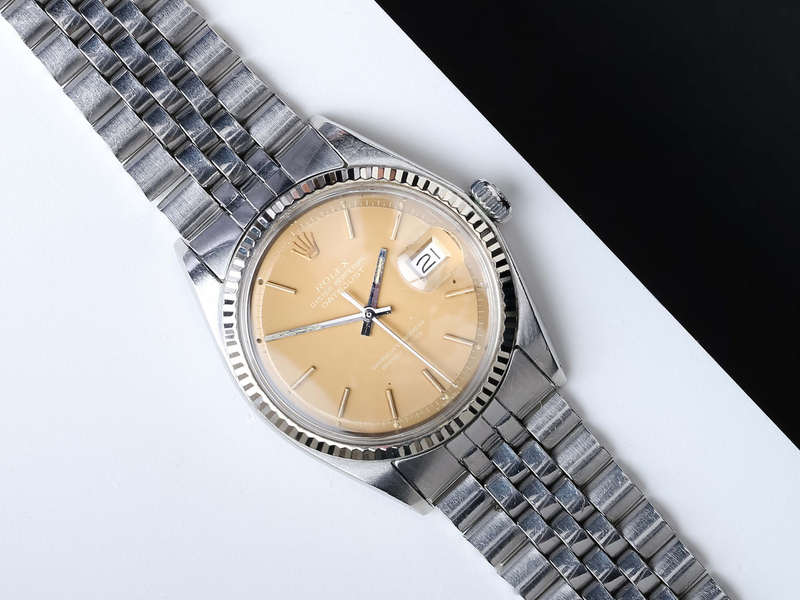 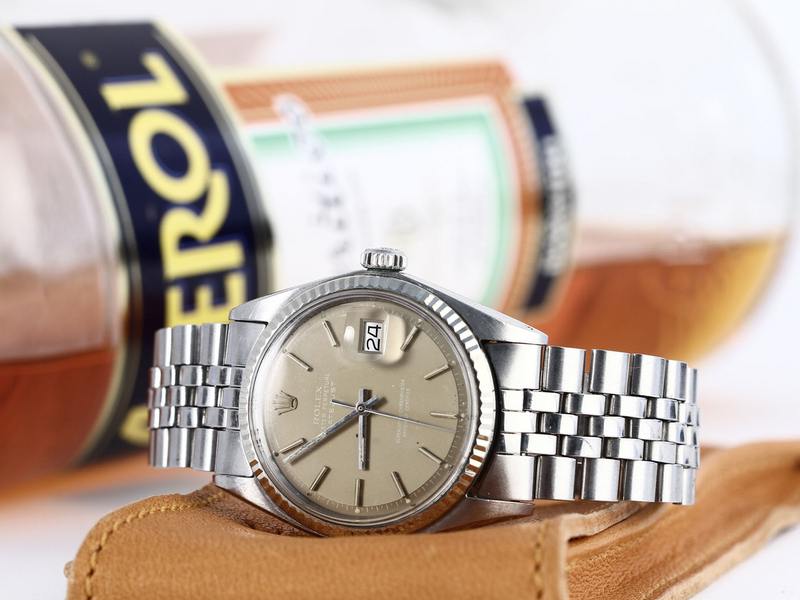 Because of It's iconic design, the Rolex Datejust is worn by several actors in movies such as The Informers, Lost in Translation and American Pshyco.